Trends come and go with the seasons. The same is true for the food industry. With every new year some old trends will fade and new ones will appear. Here are some of the most predicted food and drink trends to watch out for in 2018. We all love to brunch, don’t we? It’s such a sociable, cheerful and delicious meal. It’s not breakfast and not it’s lunch either. With brunch you get the best of both worlds, allowing you to enjoy endless food varieties. As of recently, brunch is luckily no longer just a „late breakfast“ or weekend kind of thing. Thanks to its growing popularity and people’s desire to have it served any day at any point of time, the Brinner came to life- Brunch meets Dinner! The new Brinner trend is now slowly making its way into the Viennese brunch culture too. We, The Brunch Club, like to always try out the latest food trends and share our experiences with our foodie community. In November we hosted our first Secret Brinner in Schloss Cobenzl. It was a festive evening where we gathered around the table in a mystic atmosphere and delighted our guests and ourselves with the newest food trends. Curious to hear more about it? Find more here. 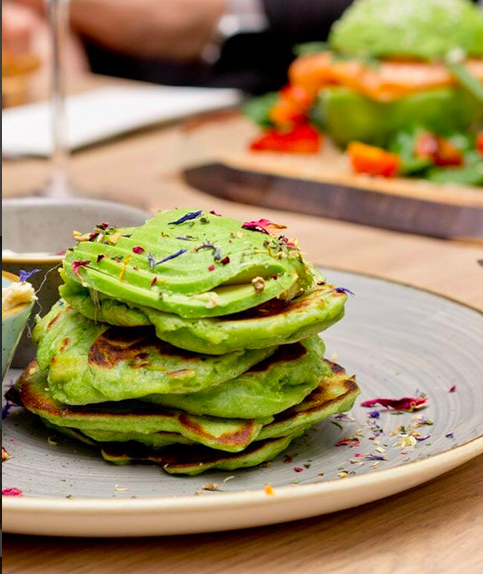 To help this trend grow and make it more popular in Vienna, we recently partnered up with Cafe Telegraph and hosted Vienna’s first Avocado Brinner Party, serving everything an avocado lover’s heart could wish for: avocado pancakes, avocado cheesecake, avocado fries and much more. If you want to know how we spent the night click here. Forget about Unicorn Frappuccinos. The Millennial Pink Latte is THE most Instagram-worthy drink of 2018. Millennial Pink is a trend that simply will not go away any time soon. It’s just about everywhere from social media, to fashion, to furniture and restaurants. The most famous Pink Latte to date is Starbuck’s Millennial Pink Latte made of steamed milk and a new fruity tea blend which gives it its pink hue. Unfortunately, as of now, it’s only available in Japan. Porridge is the ultimate breakfast to boost your energy. Usually, we like it sweet and packed with fruit, nuts, chia seeds and cinnamon. But now it's time to change things up. 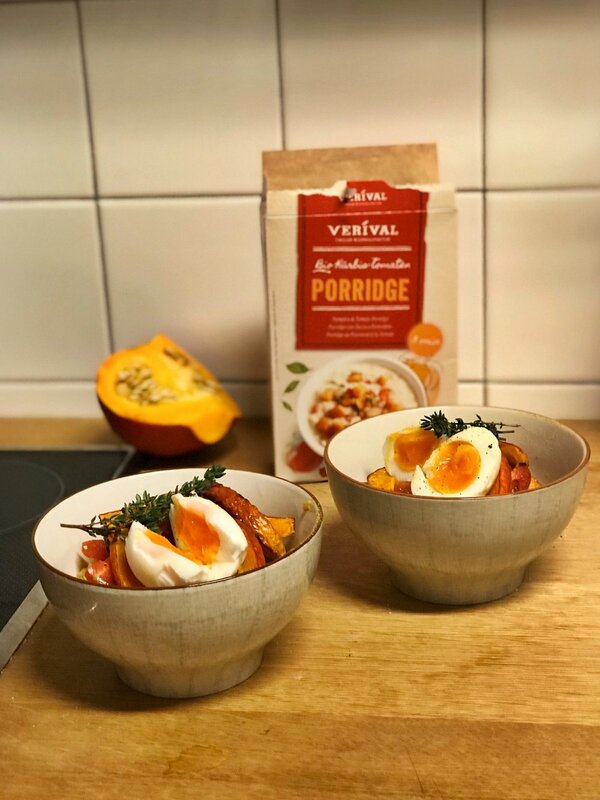 Let us introduce you to the savoury brother of our sweet friend: Oatmeal topped with eggs, bacon, veggies or whatever else you feel like adding for a hearty and tasty meal. Oatmeal is full of fiber, has a decent amount of protein and is quick and easy to prepare, which makes it a great lunch option too. You have probably already heard of cake queen Stolzes and her amazing creations. Also, you very likely know she not only likes to play with the designs of her cakes but also loves to experiment with different flavors. In many of her signature creations, she uses syringes to infuse additional deliciousness to the cakes. These tasty injections are gaining more and more popularity. So don’t be surprised if you order a cake and it’s served with a sauce-filled syringe on the side. You’ll not only find this new trend in cakes and desserts but savory dishes too. From donuts, cheesecake, to potato soup wherever you see: Lavendellila. The natural ingredient that dyes food so violet and makes it perfect for a snap shot. Cooking with plant-based sources of protein such as lentils, quinoa, beans and peas is nothing new per se but the rapidly growing hype around it certainly is. As more and more people are aiming to reduce their carbon footprint with living a healthy, sustainable and environmental friendly lifestyle, cutting down on meat and replacing it with plant protein is one of the biggest food trends this year. With an increasing number of chefs and restaurants incorporating delicious vegan meals in their menus, veganism and plant-based meat substitutes are on the rise. Companies like Beyond Meat or Impossible Foods are already selling a variety of plant-based „lab-grown“ meats. They look like meat, taste like meat, smell like meat and even „bleed“. Great for those who want to reduce their meat consumption without sacrificing the taste and feel of a juicy burger. Having these trends in mind, you can start implementing them into your menu, and turn your place into the latest “Instagram hot-spot” and create a unique experience for your customers. Always keep in mind – people use social media to communicate about their food preferences and to discuss innovative approaches to eating – this is why it's so important to watch out for trends and make sure you're part of the discussion. Keep an eye out for these new trends and share your findings and tasty experiences on social media with us @brunchclubstudio!